A practice of acquiring full or partial political control over another country, destabilize the politics, injecting money, occupying it with settlers, and taking control economically. Used in the history by European states in Africa, India etc., after the world war II adapted by the US Government (Trueman) and now since a couple of years in progress by China. Finally nothing new. Since years I follow their route of investments, first in South America, then in Africa (where the belt goes from the east to the west coast) and lately in Europe where they started to make agreements in the not top travel destinations, then they bought stakes in 13 ports and some shipyards, tech industries, hotels etc. And as many countries in the EU Zone became ungovernable, related to whatever orchestrated reason, the shopping sessions are cheap. These days I was again going through the well known book of the ancient Chinese military strategist 孙子 Sun Tzu (孙子兵法 | Art of War) with fun. Written nowadays it is used to determine leadership qualities, as well as, strategies in business. I like the smart way to conquer as I had to manage it years ago with "unfriendly take over" of some companies for investors. We can see many parallels with 习近平 Xi Jinping's strategies. Disappointing is that the USA and the EU have a boring response like the Chu state what makes them obviously a loosing war monger. Its like playing Chess, Xiangqi or Go with a pigeon, which is softly quoted "Never play chess with a pigeon, as it just knocks all the pieces over". For elderly traditionalists in the US Senate and the EU Parlament it is a diametral reengineered Marshall Plan (which US President Trueman designed against the influence of Communist parties in Europe) now set up by a communist enemy and unfortunately not a chance for teaming up or for competing. Note: To lead or move a group forward, a competent and outstanding leader must be found. Title Image: Set to open in October 2020, Dubai Harbour will be an iconic, innovative and luxurious waterfront development, creating a world-class maritime facility with the biggest and most advanced cruise terminal and marina in the region. As the Caribbean season ends, yachts migrate to the Mediterranean Sea. You ever thought to spend your holidays in a floating hotel with a dedicated crew? You know where to find perfect itineraries, the best anchorages, unparalleled privacy and total discretion? We offer since 2009 these Superyachts dreams secretly. Please do not hesitate to contact me if you consider this as your next vacation option! The marina at Dubai Harbour by Meraas Dubai have been unveiled end of February through the Dubai Boat Show. Yacht enthusiasts could admire the masterplan model of Dubai Harbour and got a true sense of the region’s biggest and most advanced marina designed by leading architects. Les Nauticales, Kuwait Yacht Show (KYS), INMEX Vietnam, Bucharest International Boat Show, Palm Beach International Boat Show. 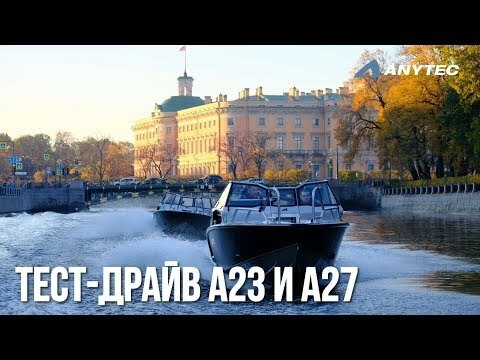 James Bond 007 Boat Racing the first time in St. Petersburg? See a video from the show. This is a must see and hear! Great mix of music, engines, city. ⇖ STOP video when leaving! Все на Боут Шоу! … was the title 6th of March to visit the 12th Moscow Boat Show. A video of Fishleader Russia with Anytec Boats. Some 300 ships will call on the port, presenting themselves in the very best light – including magnificent tall ships and majestic cruisers, lovingly restored museum ships and maritime service vessels. Over a thousand people were at the elegant private ceremony, where the majestic megayacht took centre stage. With 79m, five decks for 12 guests, space for a 39-strong crew and more details it is an unique creation. Topic Image: The “X Gen" masterpiece Pershing 8X will mesmerizing you! (25.55m long, 5.86m wide). …the run for 5G and AI became the run for world dominance. While China conquer the world or let's say at the very first beginning the tech world, western governments hinder and destroy their own tech economy instead of supporting them. It was easier to switch from 3G -> 4G as the providers could set up the new tech on the old system. 5G requires new tech like Satellites. And China leads because they gave state support. MeWe launched in 2016 is a private social network. With the closing of Google+ on April 2nd, more users are looking for a new social network home and many are choosing the MeWe social network. The MeWe social network made a tool to import your Google+ data to their platform techaeris.com. Wake up your Pinterest account! As it looks like we all should reactivate our sleeping Pinterest accounts as the corporation has confidentially filed paperwork end of February with the Securities and Exchange Commission for an IPO (initial public offering). It is expected that Pinterest becomes one of the hot tech startups in 2019. How to Survive in the Age of Digital Disruption? Top technology and business leaders from around the world join the (DOES) DevOps Enterprise Summit London ( 25–27 June 2019) at the InterContinental London for 3 days of immersive learning. Sessions will be led by leaders who are pioneering these practices in large and complex organisations across a wide range of industries. Some stats from last London conference: More than 750 attendees, 40 speakers, 18 sponsors, 2 packed days of informative sessions, networking, sharing, and learning. Meet Chinese property buyers face-to-face in Hong Kong later this month, on the 30th of March 2019 at the Hyatt Regency Hong Kong, Tsim Sha Tsui. The first Juwai Overseas Property Expo is a global fair showcasing properties by the industry’s finest developers and real estate agents. Topic Image: Ho Chi Minh City, often referred to as Saigon by the locals, is Vietnam's largest city and one of Asia's fastest-growing. A registered client is looking for a small boutique hotel 10-30 rooms / suites in the Northern Mediterranean. Could be a running business or a freehold property for renovation. Preferred location would be a coastline village close to a marina. Please contact us by email info@nauticproperty.com. Asia on the rise! According to a report released by Knight Frank LLP the number of Asian billionaires will rise the next four years by 27%, in North America by 17% and in Europe by 18%, to a world’s total billionaire population of 2,696. Talking about Asia: India leads followed by the Philippines and China. These ultra-high net worth individuals are calculated with net assets of $30 million or more. Zhu Min, an influential Chinese economist and a former deputy managing director of the International Monetary Fund in an Interview, offers insights on China's global growth. See the Video (English | 4:28min) on chinadaily.com. Zhu is now the chair of the National Institute of Financial Research at Tsinghua University. Shenzhen’s economy surpassed Hong Kong’s for the first time in 2018. Hong Hao, managing director and head of research at Bocom International, said the different economic structures of the two cities would decide that Shenzhen’s economy will remain ahead of Hong Kong’s in the coming years. “Hong Kong is heavily reliant on traditional industries such as finance and real estate, which covers about 70 per cent of the economy. Shenzhen’s economy is mainly supported by manufacturing and technology, which contributes about 70 per cent,” Hong said. • Osram (light) - Chinese investment consortium (IDG Capital, LED manufacturer MLS CO., LTD and Yiwu State-Owned Assets Operation Center). Cost: 500 million €. • Krauss-Maffei (plastic machinery) - Munich-based special machine manufacturer Krauss-Maffei sold for 925 million € to the state-based Chinese National Chemical Corporation (ChemChina). • Wind MW (wind farm) - China Three Gorges takes over for 1.2 billion € the offshore wind farm "Meerwind" north of Helgoland. • EEW Energy (recycling) - The Chinese holding company Beijing Enterprises bought the recycling company EEW Energy from Waste in Helmstedt for 1.438 billion €. • Ista (energy) - Energy service provider Ista International, based in Essen, sold for 4.5 billion € to two companies of the Chinese billionaire Li Ka-shing. • Kuka (robots) - Summer 2016, the Chinese Midea group took over 95% of the shares for 4.5 billion € of the robot builder in Augsburg. Former director of the Taiwan Affairs Office called reunification “an inevitable historical trend”. Hong Kong today is Taiwans future, with one country, two systems policy. According to the edition of the Bloomberg Healthiest Country Index 2019, ranking 169 economies to factors health, Spain jumped from 6th to 1st. The other European countries are Italy (second), Iceland (third), Switzerland (fifth), Sweden (sixth) and Norway (ninth). Japan (forth) was the healthiest Asian nation. (Authors Note:) True or not … the statistics are the result of lifestyle and food from a generation when living in Spain was different. The Vietnam International Travel Fest 2019 in Hanoi (a B2C event) introduces activities aimed at tourists. Furthermore 20 famous travel bloggers share their experiences, giving advice for a meaningful trip. Organizers expect about 40,000 visitors, mostly aged 23-50, including office workers, families, and businesses. The Vietnamese tourism industry is booming and offer services increasingly diversified from economy to high-class segments. Prestigious names in the tourism industry sponsor and take part: TPBank, Vietnam Airlines, FLC Resort, Paradise Cruises, Wyndham Halong, Banyan Tree Lang Co, Turkish Airlines, Qatar Airway, Viettravel, and Viettrantour. Topic Image: … burn down the winter to welcome the sunny season with mass tourism.